Tioman Island, locally known as Pulau Tioman in Malay language, is a mukim in the district of Rompin in the state of Pahang in Malaysia. A mukim is an administrative region in this part of the world. Tioman Island is around twenty miles from the east coast. The island is around thirteen miles long and seven & a half miles wide. There are seven villages on the island, of which Kampung Tekek is the most populous. One of the most beautiful islands in the world, Tioman is heavily forested and sparsely populated. The various coral reefs around the island have made Tioman a popular snorkeling and open water diving course destination among tourists from around the globe. The waters are also popular among surfers. Catering to tourists are various chalets and resorts. The island has a duty free status aimed at encouraging more foreign tourists. Tioman has always been one of the most fascinating places to holiday in the region but other hotspots in Malaysia, Singapore and Thailand have become more convenient for regional and international tourists. You could get to Tioman from Pahang in Malaysia, albeit it is closer from the town of Mersing on the coast of Johor. One of the convenient routes you can take is via Singapore. Whether you are planning to holiday in Singapore or you simply use the city state as a stopover, it is better to have a predictable and reliable commute and that is what you can assure yourself if you plan to go to Tioman Island from the island nation. The idyllic Tioman Island with its pristine beaches, secluded retreats, plethora of water sports and activities, amazing resorts and perfect setting for honeymooners can be reached via sea or air from Singapore. You would need to reach Mersing Jetty where from you can take a ferry to the island. You can hire a private car to drive to Mersing Jetty from Singapore. There are many operators but you would perhaps want a larger private car that can easily accommodate more people than the hatchbacks and compact sedans. You can choose a multipurpose vehicle or a minivan. 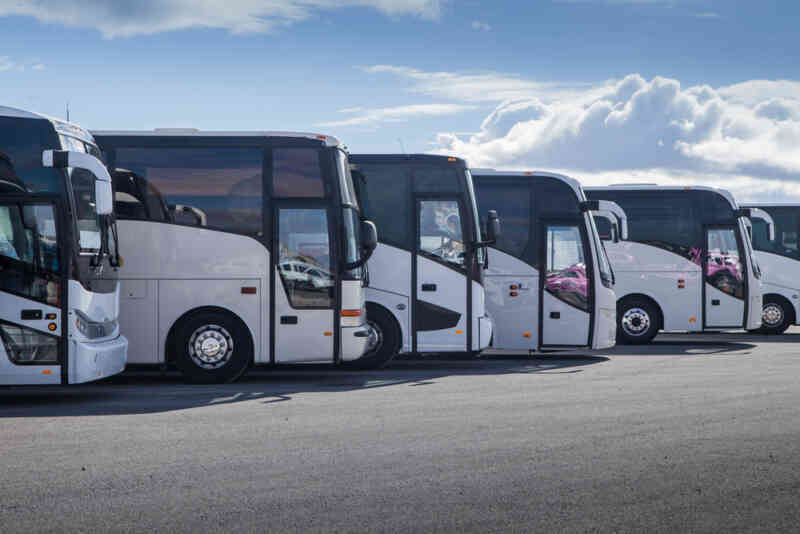 These can usually accommodate as many as ten passengers. The minivans have more space for luggage. The spacious legroom makes it comfortable for a long road trip. You cannot take a coach all the way to Tioman Island as Tanjung Gemok Jetty is the last stop. There is no bridge connecting Tanjung or other major thorough fares to Singapore or in fact Malaysia so you would have to hop off at one of the nearest paradises. Taking a coach will take up to four hours and you must start early in the morning. Traffic could be substantial and hence departing early is the key to ensure you reach your destination. The last stretch of this trip would be a ferry from Tanjung Gemok Jetty, which is usually scheduled at 11 a.m. Discovery Tours & Travel offers a coach service from Singapore to Tanjung Gemok Jetty. The cost of the ticket is SGD$25 per person. If you also wish to book a ticket for your return, you may do so at the time booking the onward journey. The roundtrip cost for one person would be SGD$50. The coach departs Singapore Flyer at 6:30 a.m. and the return trip from Tanjung Gemok Jetty is scheduled at 4:00 p.m. The journey takes four hours. The One Travel & Tours operates a similar coach service and charges SGD$36.50 per person for a one way trip. The coach departs from Golden Mile Complex at 6:15 a.m. and Boon Lay at 6:45 a.m. It leaves Tanjung Gemok Jetty at 4:00 p.m. One Travel & Tours also takes four hours either way. WTS Travel Tours operates coaches from Singapore to Tanjung Gemok Jetty starting from SGD$30 per person. The return trip is cheaper, starting from SGD$20 per person. There is a package deal available for roundtrips including ferry. Coach and ferry combo would cost upwards of SGD$85 per person depending on the type of service you prefer. The coach departs from Singapore Flyer at 6:30 a.m. and leaves from Tanjung Gemok at 5:00 p.m. Either way takes four hours. If you are taking a ferry from Tioman Island to Tanjung Gemok Jetty, the usual time is 2:00 p.m. but it can change depending on tidal conditions and number of passengers. The ferry ride is about an hour and a half so you should be in time to catch the coach to Singapore. However, you cannot plan a few hours at Tioman Island. You cannot explore the island if you have only two to three hours at your disposal. You should reserve overnight accommodation. You may even plan two days. You can depart Singapore one morning, spend the whole day and up to the next noon at Tioman and then take the afternoon ferry to Tanjung to take the coach back to Singapore. You can take a train to the Woodlands MRT, board the bus 911 to the Woodlands Checkpoint, go through immigration, take the bus 170/160 to the Johor Customs and board a bus at JB Sentral to the Larkin Bus Station in Johor. You could choose Causeway Link, the popular operator to and from Larkin Bus Station. You would need to take another bus from Larkin Bus Station at Johor to get to the Terminal Bus Station at Mersing. It would take you up to four hours. Catch a taxi at the Terminal Bus Station of Mersing and go to the Jetty. The drive is under five minutes. Take a ferry from Mersing Jetty to get to Tioman. 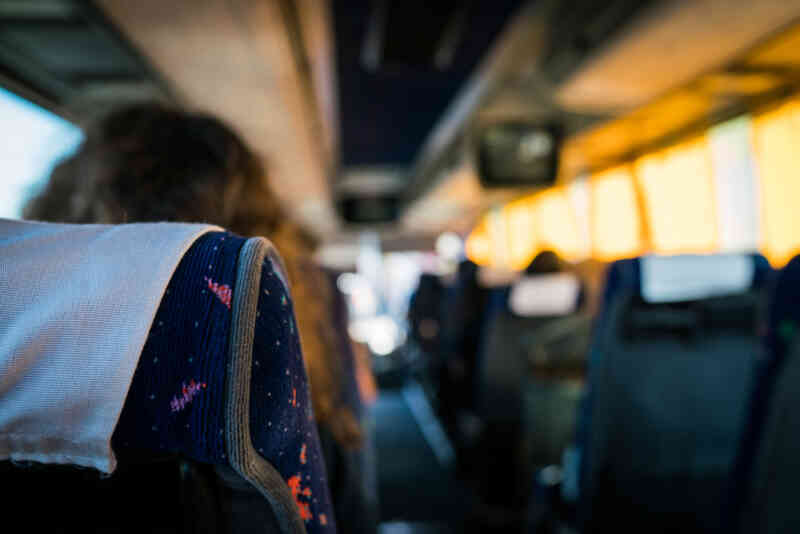 Instead of hopping on and off so many buses as well as a train with the above option, you may take a bus directly from Singapore to Mersing Terminal or Jetty. You do not have to change buses but you will need to get off at Woodlands Checkpoint and Johor Customs. This is far less inconvenient than having multiple buses and half a dozen breaks in the journey. Starmart Express operates a direct bus from Singapore. Tickets cost SGD$38.58 per person. The bus departs Golden Mile Tower at 6:31 a.m. and Boon Lay at 7:31 a.m. and arrive Mersing Jetty in four hours. Transnasional also operates a direct bus but it arrives at Mersing Bus Terminal. The cost of one ticket is SGD$33.90 but the return trip from the terminal at Mersing to Singapore costs only SGD$16 per person. This bus departs The Plaza at Beach Road. There are three timings, 9:00 a.m., 7:00 p.m. and 10:00 p.m. The return trip from Mersing is scheduled at 12:00 p.m. and 1:30 p.m. The bus terminal at Mersing is only a six minutes walk from the jetty. Either way trip takes around four hours. 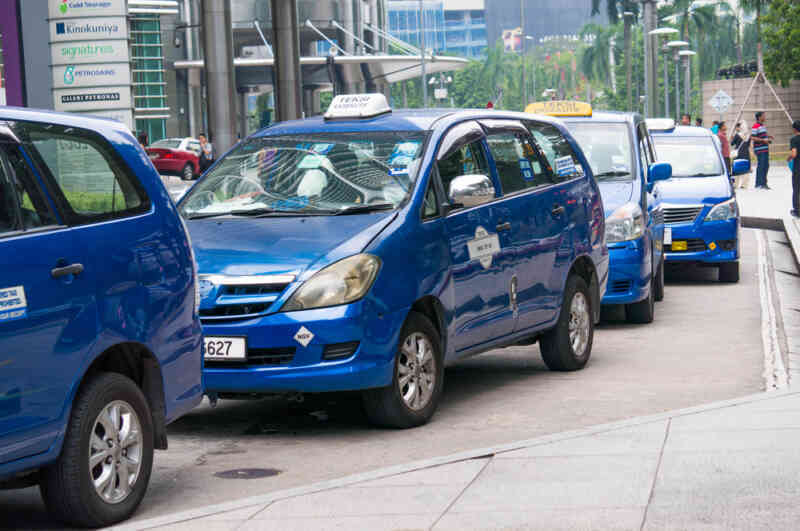 You may opt for taxis instead of a private car. The cabs or taxis are less comfortable but they ply reliably and you do not have to worry about the route. You can hire a local taxi and get to Mersing or Tanjung Jetty from JB. You may also have a chauffeur driven taxi who would double up as your guide. 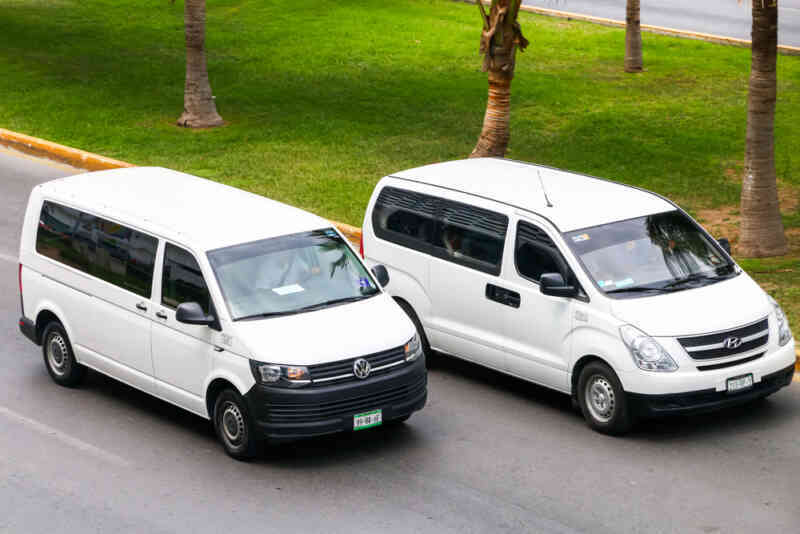 If you are traveling with co-passengers or as a group, you could save on the otherwise high costs of hiring a taxi. You may even share cab rides. Tioman may not have a bride connecting it to the mainland but it does have an airstrip. It is not some old airstrip but a rather modern one. The airstrip is close to a village called Tekek. Small and private but commercial flights do operate to and from this airstrip. Unfortunately, you cannot fly from Singapore as the flights operate from Subang Airport in Selangor. You cannot fly to Tioman Island from Kuala Lumpur either. The flight takes less than two hours. You can check out the flights operated by Systematic Aviation Services. By now you must have got an idea that getting to Tioman is not the most convenient or the smoothest of experiences on a holiday. This is partly why many tourists prefer alternatives. However, if you are willing to endure some inconvenience or a seemingly long journey then a jewel awaits you at the end of the trip. You can take a ferry to Tioman Island from Singapore. It is not as quick as flying obviously and it takes longer than the multiple buses you may opt for. Yet, ferry happens to be the simplest and most convenient option. There are government operated ferries and private enterprises too. Ferry is the most affordable option as well. Do not bring your pets along if you are boarding a public ferry. You can take a ferry from Mersing or Tanjung. Both jetties are equally popular. You can take a car, tax, train or bus to either of these jetties. Ferries usually do not take over two hours if conditions are usual but there can be some delays for unforeseen reasons. There is a daily ferry service and most of the operators have several scheduled trips every day. You can take a ferry, go to Tioman Island and explore the place before returning to either jetty and thereon back to Singapore. You can plan a day trip if you wish to avoid staying overnight but you would still have a time crunch. You may purchase your tickets at the jetties or you can make reservations online. The cost of tickets is slightly higher when you book online to pay for transaction charges. You can take CataFerry or Bluewater Express Ferry. The former is more popular. If you are at the jetty and buying a ticket, the prices are mentioned in Ringgit Malaysia but you may pay in Singapore Dollar. If you book online, make sure you are at the jetty terminal at least fifteen to twenty minutes prior to the departure time. If at all you do not like the slow ferries, you can take a speed boat. The ride would be fun and quick but you will pay more obviously. If you arrive at the jetty and have some time to spare, you can hang out at Port Cafe and Bistro. The place has wireless internet, good food and a family friendly setting. Whichever option you choose to get to Tioman Island from Singapore, you must not stress yourself to squeeze in an extensive itinerary into a brief span of time. It is always wiser to have a day at the least to experience the island and to indulge in various activities. Having only a few hours would invariably compel you to discard some of the experiences and you may only get to prioritize two or three. There can be some predictable and unpredictable delays when you choose public transportation.